Qin Wenjun is one of China's most iconic authors of contemporary children's literature. 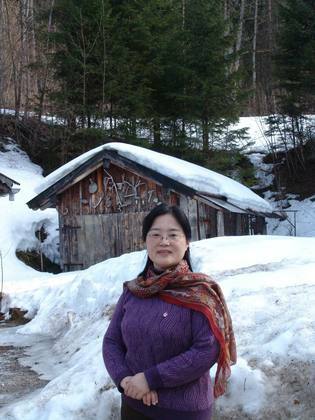 While drawing on deep Chinese traditions, she has also laid new foundations for young readers. Her best-known works include The Complete Story of Jia Li, The Mind of a Girl, 3 Tian Tang Street, Taotao Series, and Girl at Sixteen. In 1996, she won a Special Award of the Premio Letterario Internazionale Mondello. In 2002, she was nominated for the Hans Christian Andersen Award. Her translated books in English include, 3 Tian Tang Street, Curly the Black Goat, Hoopy the White Goat, and Smiling Kalakela published by Long River Press.